Nicole graduated from ASU in 1995 with a Master’s in Communication Disorders. In 2000, she earned her Family Support Certificate from Duke University. She graduated in 2004 from Nova Southeastern University in Florida with a Doctorate Degree in Child, Youth and Family Studies with an emphasis on children with communication disorders. 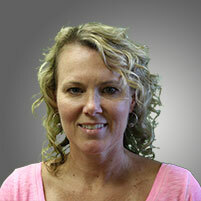 She has been practicing speech therapy with children and adults for 23 years.